Are you looking for a quality used engine or transmission for a great price? Here at Clearwater Auto Recycling Used Auto Parts we have a fantastic inventory of quality used OEM engines and transmissions. 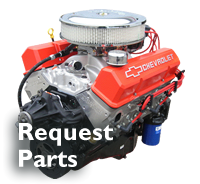 If we don’t have the part you are looking for, we can locate a part through our extensive automated part locating system in order to help satisfy all of your auto part needs. We have the right engine and transmission you need for your car, van, SUV or pick-up truck. Whether you are looking for domestic or foreign parts, you have come to the right place to get exactly the quality part you need. We have been serving Pinellas, Hillsborough and Manatee counties since 1974. We also provide delivery services to professional auto repair facilities in Clearwater, Tampa Bay and the surrounding areas within a 60 mile radius. Our parts come in a variety of interchange options. 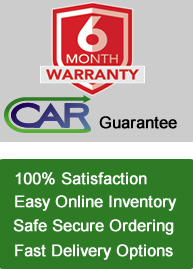 In many situations our computerized inventory system allows us to offer you an engine or transmission from a newer model vehicle based on the Hollander interchange database. This may allow you to get a replacement part with half the miles of your current parts while saving 60% compared to the cost of a new motor or transmission from a car dealership. 2. Place a call to one of our team members and we will make sure you find the proper part for your vehicle. 3. You will need to know the year, make, model and engine size for your vehicle. Once you find the engine you need, you’ll want to verify if you need any additional parts to complete your repair that may have been damaged or are missing from your existing engine. Our engines come complete, minus the AC Compressor, Starter, Alternator, and Power Steering Pump. All other parts left on the engines are for convenience purposes only. Please be sure to save these items from your old engine as they will need to be installed onto your new replacement engine. All of our used engines are cleaned, inspected for damage; run and compression tested to ensure you get a quality product. All used engines come standard with a 90 day warranty with an option to purchase an extended warranty as well. Thank you for shopping at Clearwater Auto Recycling!